Taurine (2-aminoethanesulfonic acid) is a sulfur-containing amino acid. It is one of the most abundant free amino acids in many excitable tissues, including the brain and skeletal and cardiac muscles. Physiological actions of taurine are widespread and include regulation of plasma glucose levels, bile acid conjugation, detoxification, membrane stabilization, blood pressure regulation, osmoregulation, neurotransmission, and modulation of mitochondria function and cellular calcium levels. Taurine plays an important role in modulating glutamate and GABA neurotransmission and prevents excitotoxicity in vitro primarily through modulation of intracellular calcium homeostasis. Taurine supplementation prevents age-dependent decline of cognitive functions. Because of the widespread actions of taurine, its levels are highly regulated through enzymatic biosynthesis or dietary intake. Furthermore, depletion of endogenous or dietary supplementation of exogenous taurine has been shown to induce widespread actions on multiple organs. Cysteine sulfonic acid decarboxylase (CSAD) was first identified in the liver and is thought to be the rate-limiting enzyme in taurine biosynthesis. CSAD mRNA is expressed in the brain in astrocytes. Homozygous knockout mice lacking CSAD (CSAD-KO) have very reduced taurine content and show severe functional histopathology in the visual system, skeletal system, heart, pancreas, and brain. Conversely, dietary supplementation of taurine results in significant health benefits acting through the same organ systems. Fluctuation of taurine bioavailability leads to changes in the expression levels of taurine transporters in neuronal plasma membranes, endothelial cells forming the blood-brain barrier, and proximal cells of the kidneys. This suggests a highly regulated mechanism for maintaining taurine homeostasis and organ systems function. 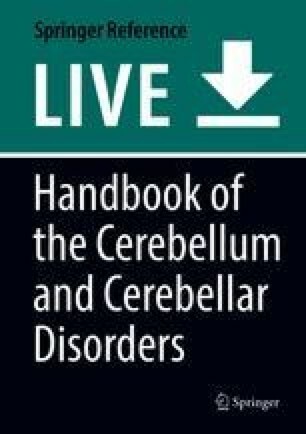 This chapter discusses examples of how alterations in taurine levels directly affect the function of one organ system and through functional interaction and compensatory adaptation; these effects extend to another organ systems with focus on cerebellar function.